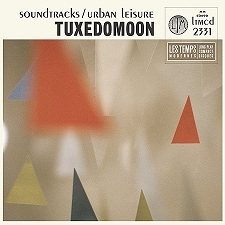 An anthology of classic Crépuscule singles and other recordings by Tuxedomoon, the exiled American avant-gardists who recorded for the label between 1981 and 1983. At Twilight includes all tracks from the three vintage singles Ninotchka (TWI 055), Time To Lose (TWI 084) and The Cage (TWI 142), as well as rare compilation tracks Shelved Dreams and Weihnachtsrap, the latter recorded for festive album Ghosts of Christmas Past (TWI 058). Also included in the haunting opening theme from The Ghost Sonata, an 'opera without words' performed by the group in Italy during the summer of 1982, while the album closes with the final three song demo with Blaine L. Reininger before his (temporary) departure in 1983. The cover art is based on the poster for TWI 142 by Patrick Roques, the designer responsible for classic TM sleeves including Half Mute and Desire. The deluxe six panel digipack and booklet also feature archive band images, sleeve artwork and poster designs. CD is SOLD OUT. To order simply select correct shipping option and click on Add To Cart button below cover image, or else contact LDDC by email. 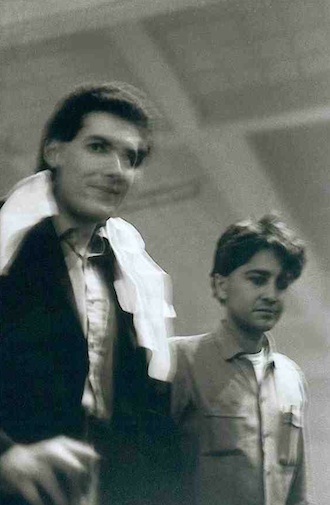 Formed in San Francisco in 1977, Tuxedomoon recorded the albums Half Mute and Desire for oddball Ralph Records before relocating to Europe early in 1981. The new wavers played their first old world show at the Plan K venue in Brussels on 1st October 1980, after which it was only fitting that they record for Les Disques du Crépuscule – no mean coup for the fledgling label. Based initially in Rotterdam, the core musical trio of Steven Brown, Peter Principle and Blaine L. Reininger produced a slew of new music during 1981, including Divine, a ballet soundtrack for choreographer Maurice Bejart, based on the life of Greta Garbo, and also Suite en Sous-Sol. By October the group had relocated to Brussels, working from a rehearsal space at Plan K, and recording a limited edition single Egypt for French label Sordide Sentimental. 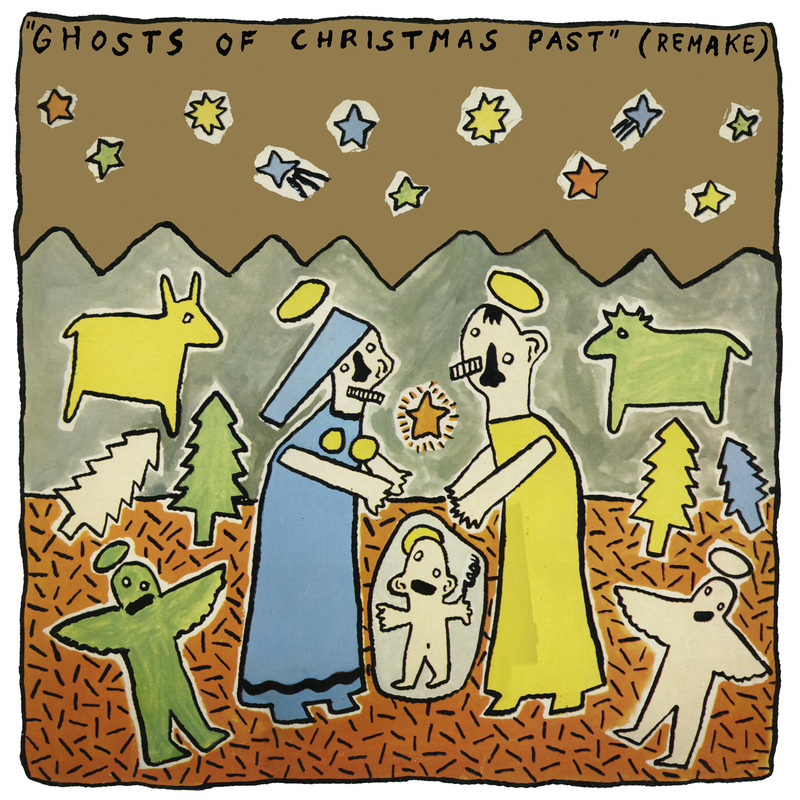 The first Tuxedomoon recording to appear on Crépuscule was Weihnachtsrap, issued on the festive Ghosts of Christmas Past album at the end of the year. In 1982 the band appeared to join the label officially. Ninotchka, a carnivalesque track from Divine, was issued as a 12" single in May, followed by a brand new EP in August, featuring Time to Lose and Blind, as well as Music #2, an exquisite duet for piano and violin. That summer the band (with scenarist Bruce Geduldig and engineer Gilles Martin) relocated to Polverigi in Italy for the Inteatro Festival, rehearsing and performing an ambitious 'opera without words' devised by vocalist Winston Tong, The Ghost Sonata. Already, Reininger had cut Broken Fingers, his first solo album for Crépuscule, with contributions from Principle and Brown. "We're respected over there," he told the San Francisco News & Chronicle. "Europe is a traditional refuge for Americans who weren't accepted in the US, everyone from Hemingway to Gertrude Stein to Jack Johnson. We live like humans. We eat, we pay rent, all through our art. We're accepted by reputable people like Bejart. If we lived in San Francisco we'd be lucky to score a gig at the Mabuhay Gardens these days." Back in Brussels after the Italian sojourn, the group recorded The Cage and This Beast as a single for Crépuscule, and backed Winston Tong on a cassette album of tone poetry, Like the Others. 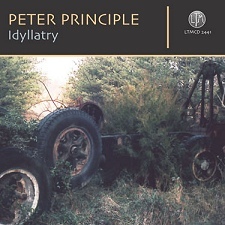 Peter Principle produced and guested with several other artists on the label, notably Marine, Isolation Ward and Soft Verdict. Arguably the prolific ensemble should have assembled a coherent group album in 1982, and was offered such a project by Crépuscule with financial backing from Island Records. Three new songs were taped in December, along with soundtrack music for Het Held van Eer, but ultimately the band were unable to agree on committing to a major recording contract, resulting in Reininger's departure in February 1983. Ironically, most members would continue to record for Crépuscule as solo artists. 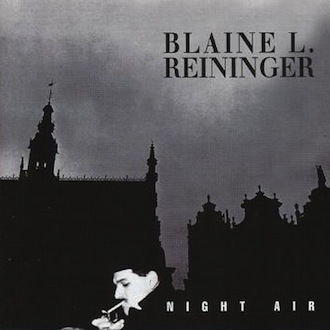 Reininger remained with the label for a decade, opening his account with Night Air in 1984, written and recorded with former TM guitarist Michael Belfer. 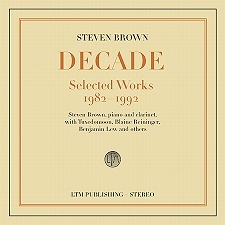 Steven Brown issued Music for Solo Piano that same year, with Reininger guesting on several tracks. 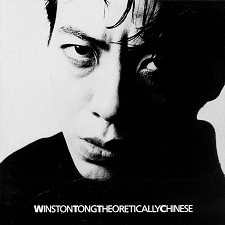 Winston Tong made an expensive synthpop album with producer Alan Rankine, Theoretically Chinese, issued in 1985. Meanwhile, Tuxedomoon joined forces with Crammed Discs to create their own imprint, CramBoy, which was inaugurated with the band's next album Holy Wars. Reininger rejoined the group in 1988, The Ghost Sonata finally emerging in 1991. 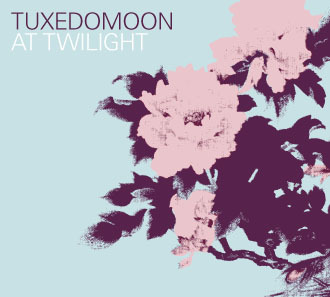 The entire Tuxedomoon recorded catalogue is available via CramBoy, including later albums Cabin in the Sky, Bardo Hotel and Vapour Trails. 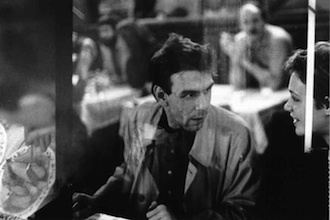 For details of Isabelle Corbisier's detailed written history of Tuxedomoon visit www.music-for-vagabonds.com.